A few weeks ago, Adler went to the vet for her annual check up. She loves going to the vet like my kids enjoy going to the doctor. She always tries to pull you out the door of the exam room once she is in there and tries to hide in the corner even though she gets a lot of treats from the vet and vet tech. Anyway, Adler weighed in at 73 lbs. so her weight is down again despite being our canine vacuum cleaner. Vet still wants her to lose 3 more pounds to get to 70. Other than that, our Berner girl checked out healthy at 7 1/2 years old! I am thankful for the good bill of health given all of the health issues associated with this breed. I have to say that I knew all of that going into getting a Bernese Mountain Dog but not even those could deter me from wanting this head-turning breed. 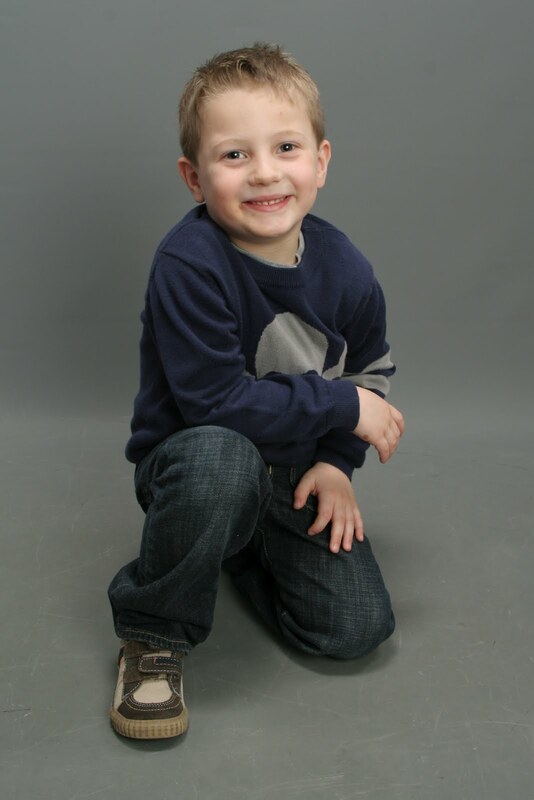 When Austen turned five in January, it meant time for his five year old check up. And, if you have ever taken a five year old for a check up or have a friend who has then I am sure you have heard all about the five year old/kindergarten check ups. They are to be dreaded due to the sheer number of shots that kids have to endure at this age. Now Austen isn't a good shot person anyway and he's only been comfortable going to the doctor in the last two years (and last year he didn't need a shot) so I really didn't put too much thought into how this was going to go. Austen must've remembered his doctor's visit from age three though because he asked that morning when I told him where we were going if he was going to get "punched in the arm." What he really was asking was if he was going to get a shot! Anyway, off we went. Exams went great (Peyton got her two year old check up too). Then came the shots. Six total for Austen alone if you count the flu mist he had to take in the nose. He was crying so hard and screaming "no!" that the nurse told me that I had to put Peyton down to restrain Austen. He cried for a good 10 minutes after that but then was okay. I was thinking then that we're all done. There probably won't be another check up that will amount to that many shots in his lifetime so we won't have to go through that again. Boy, was I wrong. That night, Austen freaked out about his Band Aids and wanted to take them off but didn't want them to be pulled off because it hurt. I honestly thought we were giving him his shots all over again but it was way worse this time! Most kids like to wear Band Aids with cool stuff on them. Austen doesn't even want one when his arm is bleeding because he's thinking how much it hurts taking them off. He's definitely not my tough kid. Peyton barely cries as she receives her shots and one time when she was a baby she didn't even cry at all when getting a shot. I guess women are just born with a higher threshold for pain! I can remember my first movie when I was a kid. It was Pinocchio. I think my aunt took me (Auntie Dora do you remember?). So it was only right that our whole family was in tow to witness Peyton's first movie. I thought she might be kind of young. Barely two years old. 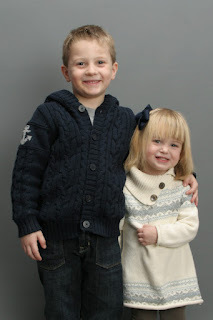 We waited until Austen was a few weeks shy of three to take him but I thought she could handle it. She really likes this one Japanese remade movie called Totoro and the Secret Life of Arriety just recently came out that was really similar so I thought she would sit through the 94 minutes without being strapped in her car seat! That's really the only time she watches TV/movies. We told her before she went in that there was no talking in the movies. She proceeded to repeat several times to Austen that there was no talking in the movies. Just in case he wanted to. But she was great. Towards the end she started to get a little antsy and she thought it was funny to pronounce Arriety to the whole theater a few times but other than that not bad for a just barely two year old! 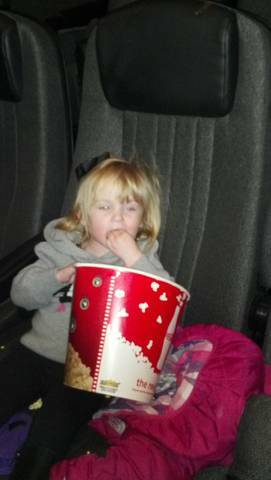 I'm still not sure what she liked better though, the movie or the popcorn! 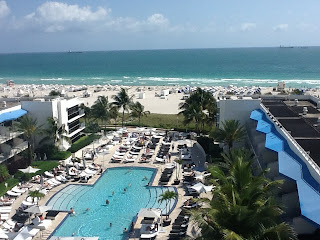 On Tuesday I left Chicago for a work trip to Miami. It is always hard to leave them even when I know they are in Tom's good hands and even when I am going some place warm when it is so cold in Chicago. But on Tuesday, I kissed the kids goodbye and went to catch a cab. Tom immediately texted me and said Austen went to his room so he could watch me out his window. As soon as I got in the cab he started crying. If anyone I expected Peyton to cry since she is the one so attached to me but she handled my being gone like a champ. Even when we did Face Time on the computer so I could see the kids and they could see me, Peyton did great. Although the first thing she said to me was "can you come out?" She meant can I come out of the computer and come home! So cute! I told her I would be home soon! Even when I am in a place like this, I still only want to be home with my family and I am glad to be back.